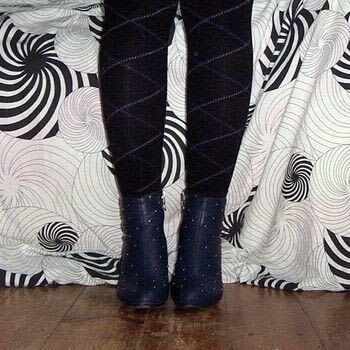 I liked that shoes, but as a knee high they were kind of too sparkly for me so I decided to make an ankle high from them. That is my first tutorial so sorry if I made any mistakes. 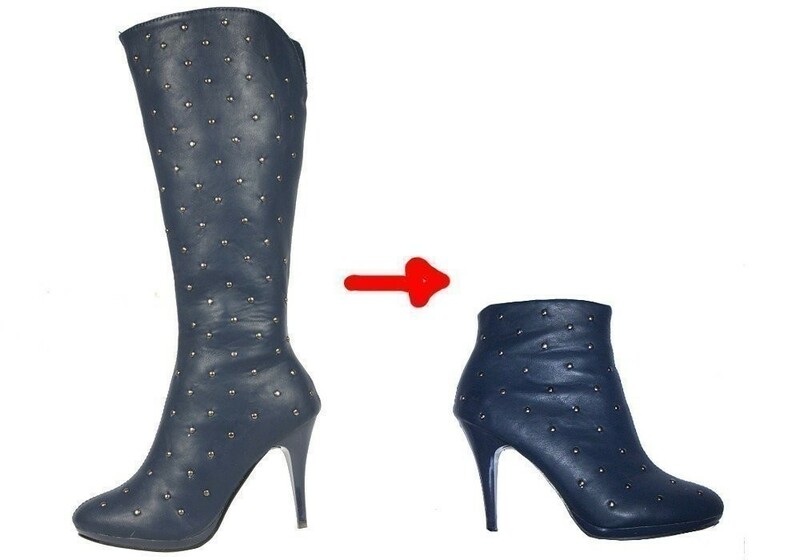 If your shoes are lined like mine, you have to get rid of the lining on that additional inch you’ve added to the desired height of the boot. 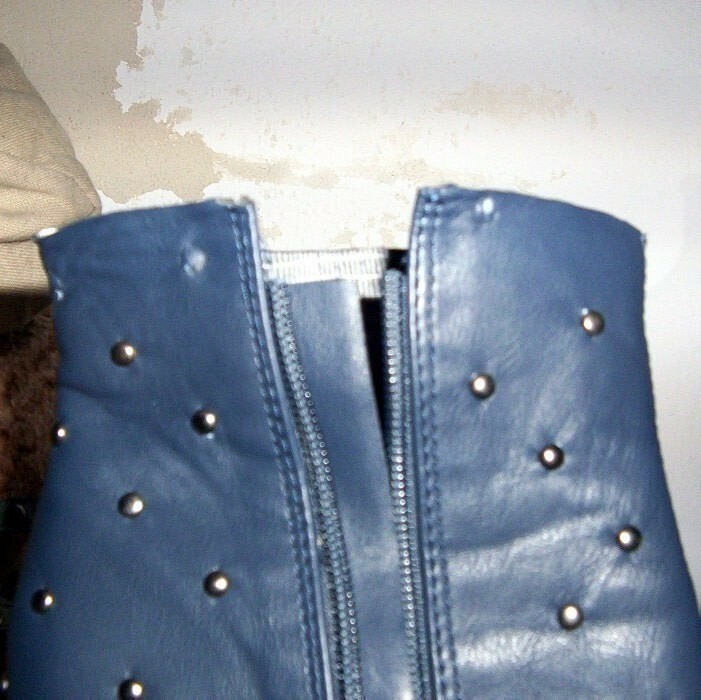 Mine are studded so I had to remove the studs on that inch-wide area. 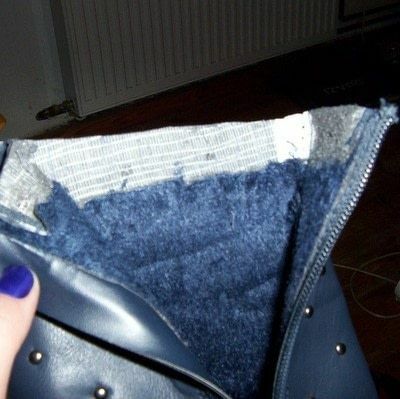 Next you have to shorten the zipper to desired height of the shoe. Rip out the additional inch of the zipper and cut it off. Then use cord and needle to secure the zipper. 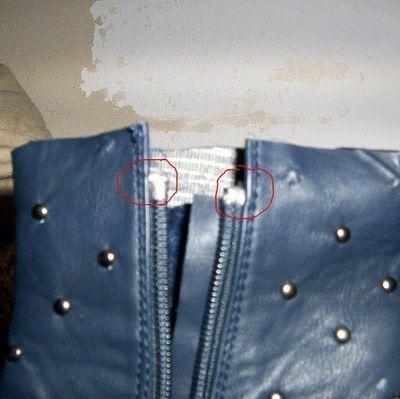 Just stitch a kind of rectangle on the zippers last 3 “teeth” on its both sides. It will look better if cords colour matches the colour of shoe, but unfortunately I didn’t had a navy one so I used grey one. 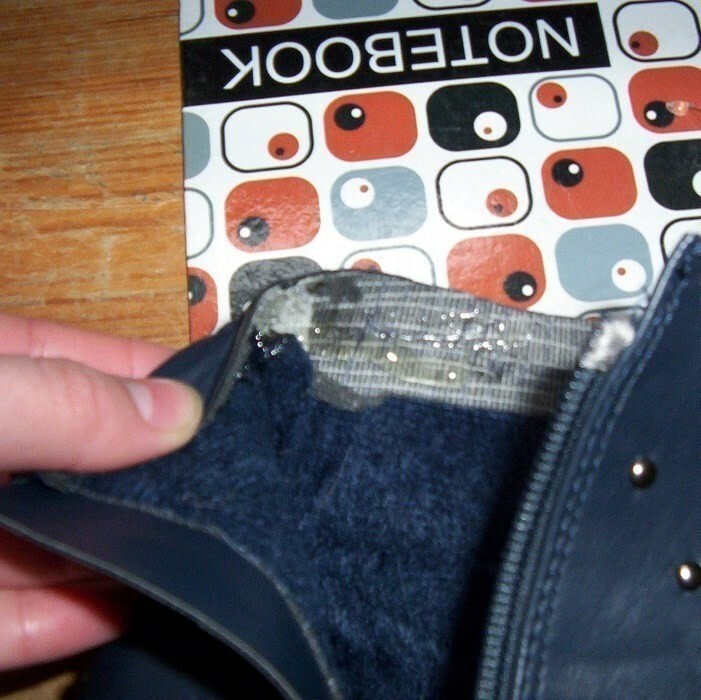 Now heat the glue gun and glue this additional inch of shank inside the shoe. 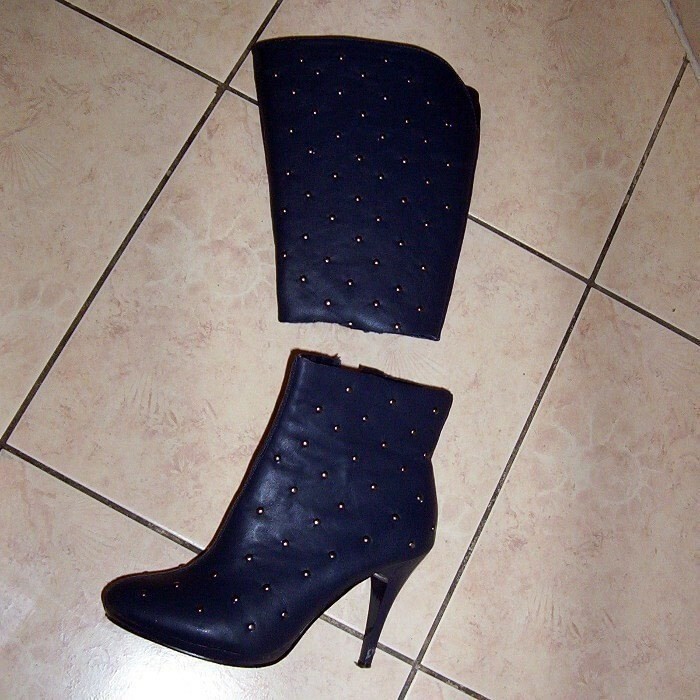 Wrap the boot with a scrap of fabric and secure it with laundry clips so the glue could get it well. 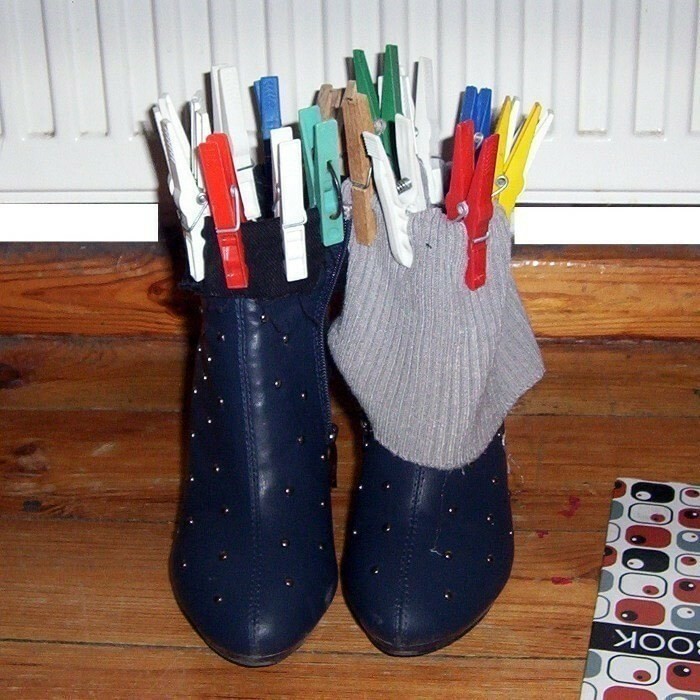 The fabric prevents the shank from dents that the clips could make. 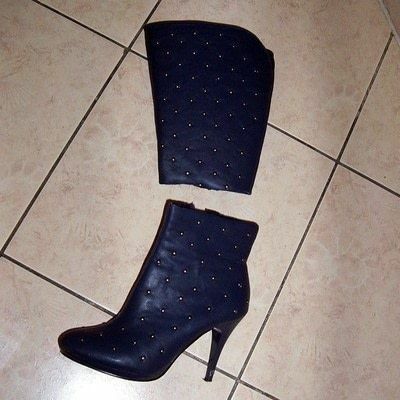 Leave it like that for a few minutes. If you don't have a zipper you skip steps 3&4 right? Btw great tutorial! I loved your idea so much I tried it today. This is a genius!